Eagles DE Jason Babin likes hunting. We know this, because he spent his offseason shooting at brown bears in Alaska, and last year a filed a police report against a moving company that made off with eight of his shotguns. So we know where he stands on the Second Amendment, but he took that a little further today, tweeting out this picture with the caption "Enough said." The problem, apart from the fact that you probably shouldn't ever give Adolf Hitler the last word in an argument, is that Hitler almost certainly never said anything like that. Go ahead, google it. It's one of those "quotes" that has only started to make the rounds in recent weeks. 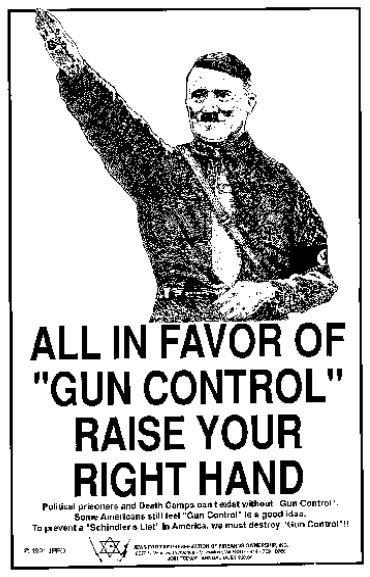 The tying of the gun control issue to Nazi Germany isn't a new tactic—the current argument for the Second Amendment boils down to insurance against any potential dictators trying to seize power. 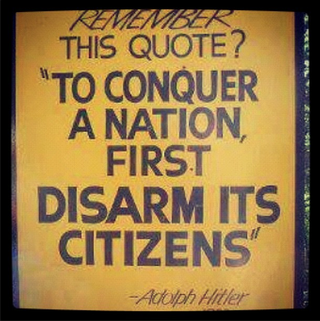 More than a decade ago, another supposed Hitler quote about gun control made the rounds on message boards and bumper stickers—and that one was just as easily debunked. It's not clear where Babin saw the above sign, but he's not the first to be taken by a little fibbing for the sake of propaganda.